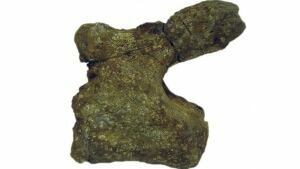 ﻿ Dinosaur bones discovered in Saudi Arabia for the 1st time - Zigong Dinosaurs World Science & Technology Co.,Ltd. A team of international researchers has uncovered dinosaur bones for the first time in Saudi Arabia. A string of vertebrae from a huge “Brontosaurus-like” dinosaur and some teeth from a carnivorous dinosaur were discovered in dry desert, along the coast of the Red Sea. The teeth are about 72 million years old, researchers said. Dinosaur bones are exceptionally rare in the Arabian Peninsula, said Benjamin Kear, a researcher based at Uppsala University in Sweden. He said before this discovery, only a handful of highly fragmented fossils had been found in the region. Kear said none of those fossils were recognizable as belonging to dinosaurs. “This discovery is important not only because of where the remains were found, but also because of the fact that we can actually identify them.” said Kear, the lead author of an article about the discovery published in the journal PLoS ONE. Researchers from Australia and Saudi Arabia also contributed to the study. The discovery of dinosaur fossils is rare for Saudi Arabia because when dinosaurs roamed the area millions of years ago, the region was mostly underwater. This means that dinosaur bones that are found would have been washed out into sea and buried.